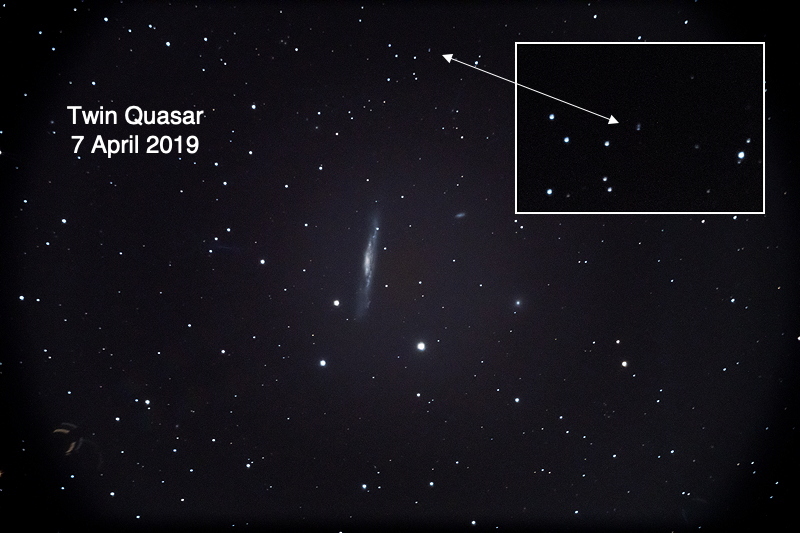 The Twin Quasar is a result of gravitational lensing of a single distant quasar caused by an intervening galaxy (not visible in the image). Monday, 8 April, 2019, had unforecasted clouds, so did not open the observatory. 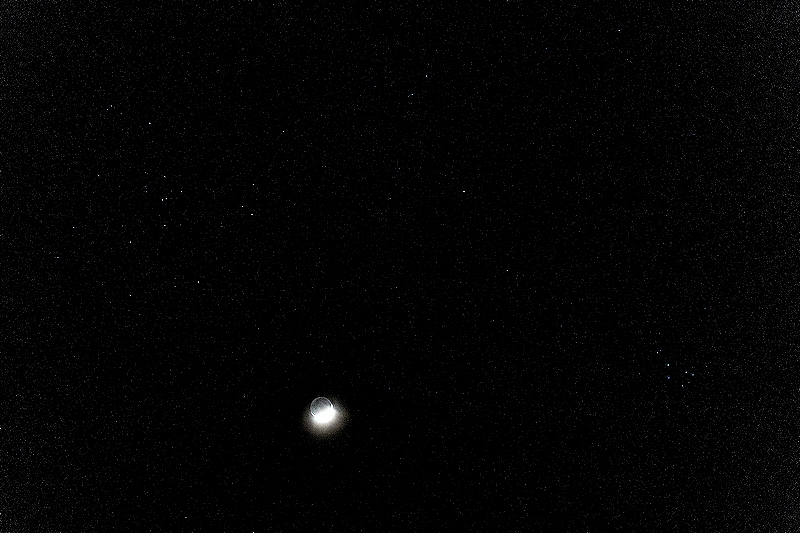 I did try to photograph the crescent Moon with Earthshine near the Hyades, Mars, & the Pleiades. Due to the clouds I was not able to get a very good photograph. Comments are welcome using Email. Twitter users can use the button below to tweet this report to their followers. Thanks.